For the wedding reception that may not have the room or the appetite for a full sized candy cart we offer a fantastic alternative. 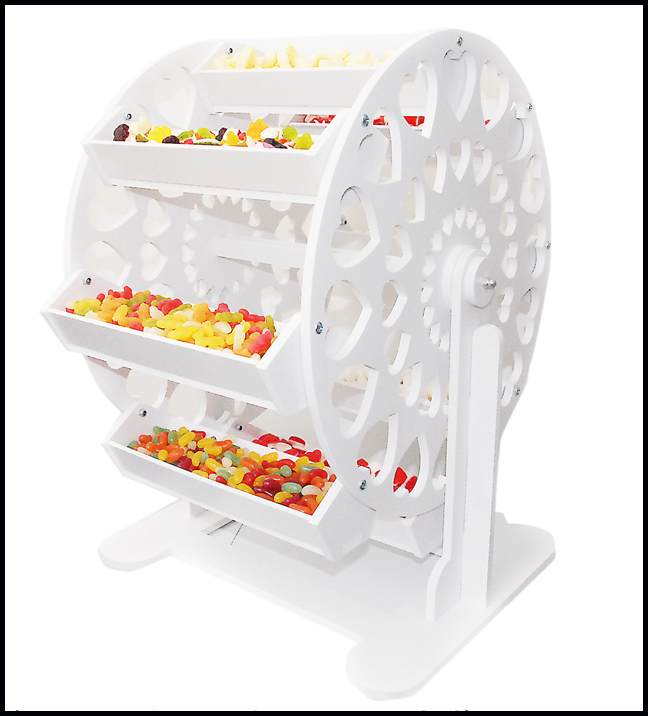 The candy filled ferris wheel stands an impressive 3 feet tall and each compartment can hold over a pound in weight of your favourite sweet treats. Easily rotated this gives you a choice of eight different types of sweets and comes complete with serving scoops, tongs and striped candy bags for your guests.